KDG listens to each clients “wish list” of needs and wants and then tailors the solution to the client’s style and budget. Consultations can include a one time meeting, minimum of 90 minutes, or focusing on a single room design or the entire home. Single consultations can even be of help when you wish to just discuss whether you want to redo a kitchen or remodel KDG can include existing pieces as well as new pieces needed to create a warm inviting home. 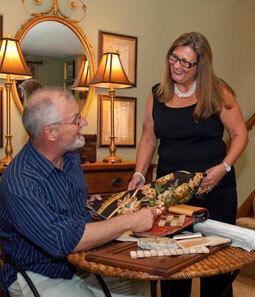 Developing a plan for upholstery, furnishings, rugs, art, color and fabrics are considered. Purchasing help is available.